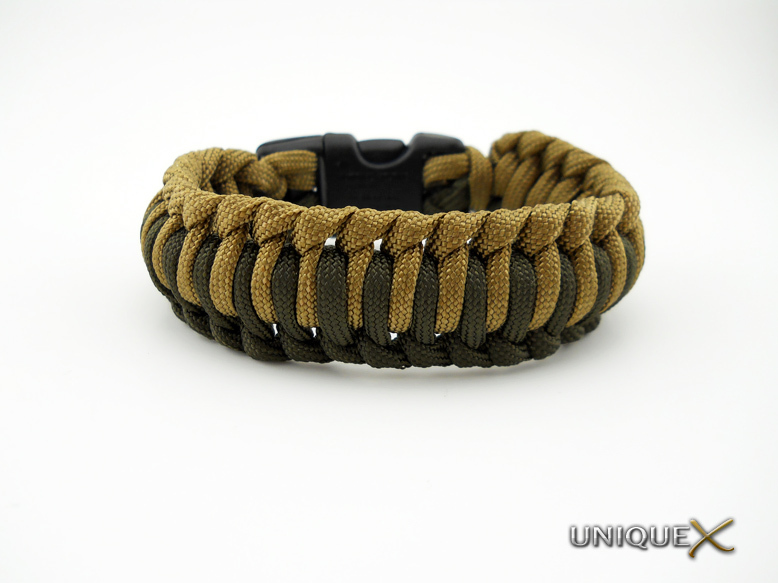 For this post, I decided to show some of the newest "quick deploy" solutions for creating emergency paracord bracelets. You may have noticed one of the designs in the image from before, I previously featured it for an emergency bracelet and I thought it would fit perfectly with the other two bracelet designs. 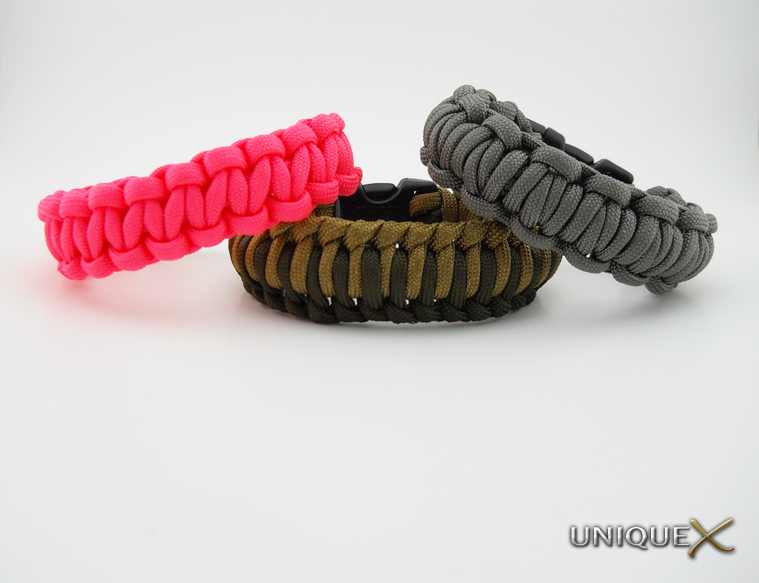 Both of these bracelets are created in a similar way. The foliage green bracelet (the bracelet on the right) is called the Millipede Survival Bracelet by paintballhead03 and used around 12 feet of paracord to tie. 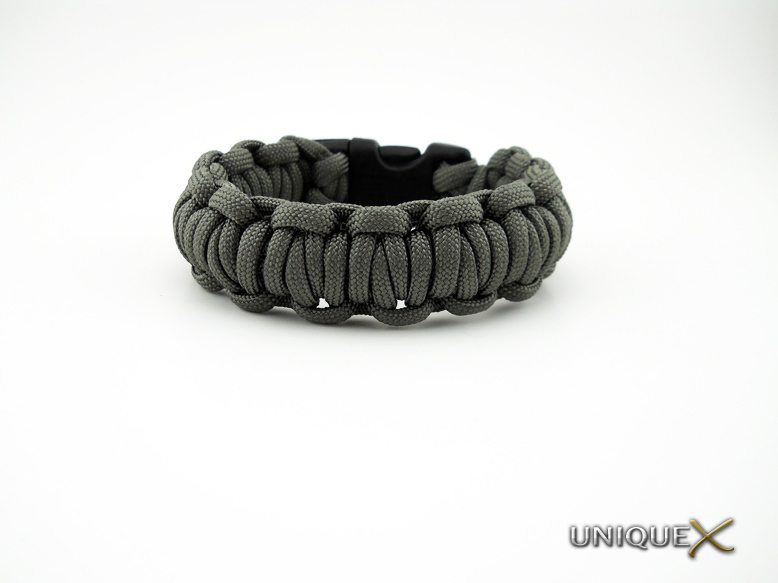 The other design is something I thought of when tying the Millipede bracelet, it's simply a Genoese Bar bracelet that is tied around a Slip Knot the same way as the Millipede bracelet is tied. This design may have been created before and if needed I will provide a tutorial that shows the tying technique. Until then, follow the instructions from the Millipede video that shows the starting technique which uses two Slip Knots, one for each strand, then instead of tying the Millipede wrap over the Slip Knots, tie a Genoese Bar over the Slip Knot cores. For the other quick deploy bracelet I have decided to show the Chain Sinnet Square Knot once again, but this time it's tied using Salmon paracord because the ladies need emergency bracelets too. 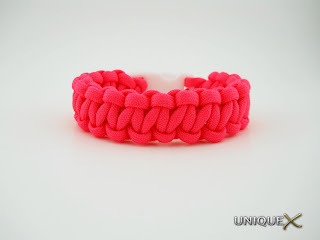 The creator of this knot design, Andy Smith, created the video from which I learned to tie this bracelet. 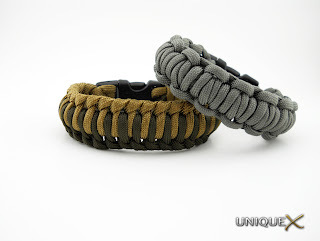 It's fairly straight forward and of the three designs is probably the easiest to tie and looks most like the Solomon Bar.